Overview: Ready to summon some science? Join the TACNY Jr. Café on October 20th to see the magical chemistry behind glowing pumpkins, magical genies, luminescent liquids, time telling potions, and mysterious fog. Dr. Neal Abrams from SUNY ESF and Dr. Miriam Gillett-Kunnath from Syracuse University will present a series of interactive magical Halloween chemistry demonstrations that will be sure to delight young and old alike. Biography: Neal Abrams is an associate professor of chemistry at the SUNY College of Environmental Science and Forestry (ESF). He obtained his bachelor’s degree in chemistry and certification in teaching from Ithaca College and completed his doctorate at Penn State. At ESF, he instructs courses in general chemistry and renewable energy. He also leads research programs in the areas of renewable energy and methods for teaching science. He is also the faculty advisor for the ESF chemistry club. Abrams enjoys working with students and educators in the community. As part of this commitment, he leads renewable energy workshops for teachers, instructs a series of courses on solar panel installation, and guest lectures in classrooms across Syracuse and CNY as part of the ESF in the High School program. He is currently the Education Chair for the CNY Section of the American Chemical Society. Miriam Gillett-Kunnath is a research assistant professor of chemistry at Syracuse University (SU). 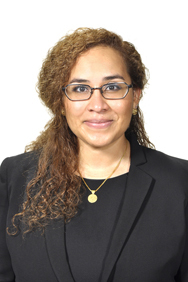 She obtained her bachelor’s degree in chemistry from Le Moyne College and completed her doctorate and post-doctorate at Syracuse University and Notre Dame University, respectively. At SU, she assists in mentoring and teaching research while helping with the management of the Chemistry SC-XRD and PXRD lab. Gillett-Kunnath, along with her husband Bobby Kunnath, works with local high school students to connect them with research in the STEM disciplines. Her passion towards building a local STEM Ecosystem has led her to learn from, volunteer, and work with SU-chemistry outreach, ACS-CNY, STA-NYS, TACNY and the MOST. Ready to be spooked out of your seat? Join the TACNY Jr. Café on October 18th to see the chemistry behind glowing pumpkins, magical genies, bleeding paper, and mysterious fog. Dr. Neal Abrams from SUNY ESF will present a series of interactive Halloween chemistry demonstrations that will be sure to delight young and old alike. Come make your own slimy worms and celebrate the season! People interested in learning more about creepy chemistry are invited to attend the free Junior Cafe presentation on Saturday, October 18, from 9:30 a.m. to 11 a.m. at the Milton J. Rubenstein Museum of Science and Technology (MOST) in Syracuse’s Armory Square. Walk-ins are welcome, but we ask that people RSVP by emailing jrcafe@tacny.org by October 15, 2014. 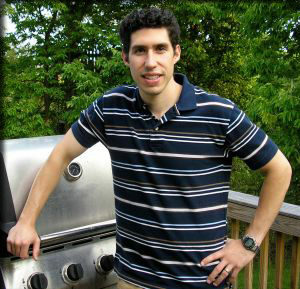 Dr. Neal Abrams is an associate professor of chemistry at the SUNY College of Environmental Science and Forestry (ESF). He obtained his bachelor’s degree in chemistry and certification in teaching from Ithaca College, completed his doctorate at Penn State University, and was a postdoctoral researcher at Cornell University. At ESF, he instructs general chemistry and co-teaches a course in renewable energy. He leads research programs in the areas of renewable energy and methods for teaching science. He is also the faculty advisor for the ESF chemistry club. Abrams enjoys working with students and educators in the community. As part of this commitment, he instructs renewable energy workshops for teachers, co-instructs a series of courses on the installation of solar panels, and guest lectures in classrooms across Syracuse and CNY as part of the ESF in the High School program. He was also the recipient of the 2010 TACNY Technology Outreach award.